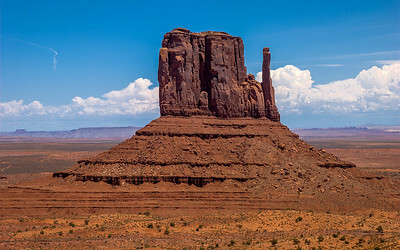 The iconic sandstone butte located on the Colorado Plateau in Utah. 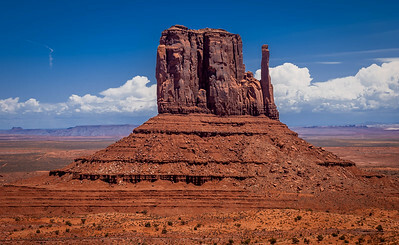 This is just one of the twin Mittens that you would see from the visitor center or John Wayne point. 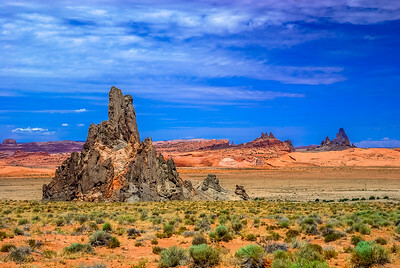 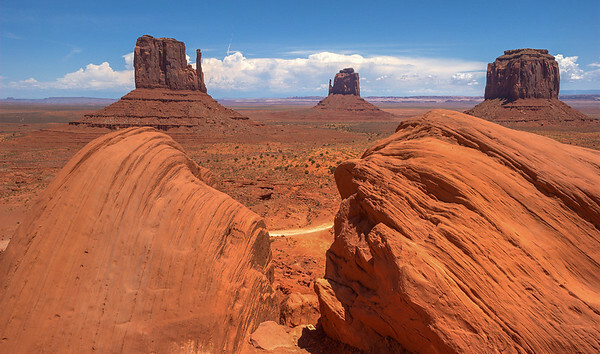 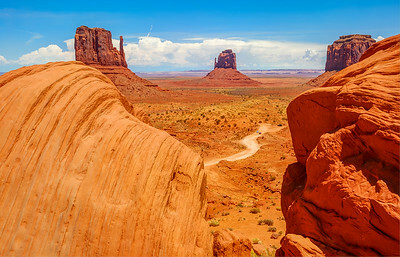 The iconic Mitten formations located in Utah.